Read about Surya’s 24 and DOWNLOAD 24 SONGS now. Actor Suriya’s next movie “24” Audio Album Track has been released. Surya 24 release date is announced and will hit the silver screen on 14th April on the occasion of Tamil New Year. 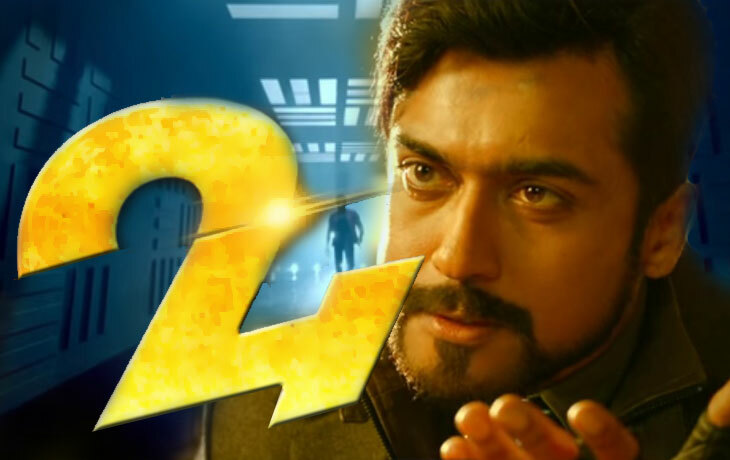 Surya 24, The movie is already in news for their Sci-Fi plot and A. R. Rahman’s Music. The First song from Suriya’s 24 has been released on 14th, March 2016. The Music is composed by Two-time Oscar Award winner AR Rahman and well-known lyricist Vairamuthu has penned it. The song is sung by Benny Dayal. 24, the movie is a family entertainment having the plot on the time period. Actor Suriya is plotting three roles as Surya, Surya’s Son and the antagonist. As per sources, the actor develops a Time watch/machines which take him to the old time where he changes the mistakes he had made earlier. But, ultimately he has to face many new problems. How is comes back to the new era, what are the problems he faces. All these questions will be answered once the movie gets released. The song is already a huge hit among listeners and received a positive response from the listeners. Many of them are describing it as slow poison. The song is trending among the youth of the country, and many of them have shared their reviews in Twitter and Facebook. Considering Surya’s movie and previous hits, this film is expected to BOOM with Huge Box Office collection. Read about Theri Audio Launch and Movie Release Date. Actor Surya’s upcoming movies have always been created the buzz amongst the Surya fans. Adding to this, the amazing SciFic Plot and AR Rahman musical which will be a great positive. Sources say the movie has been delayed to avoid the clash with Ilayathalapathy Vijay’s “Theri.” With fingers crossed, let’s wait for the film release to feel the magical Surya entertainer.